Just thought I'd share this photograph from a storm in Melbourne last month. 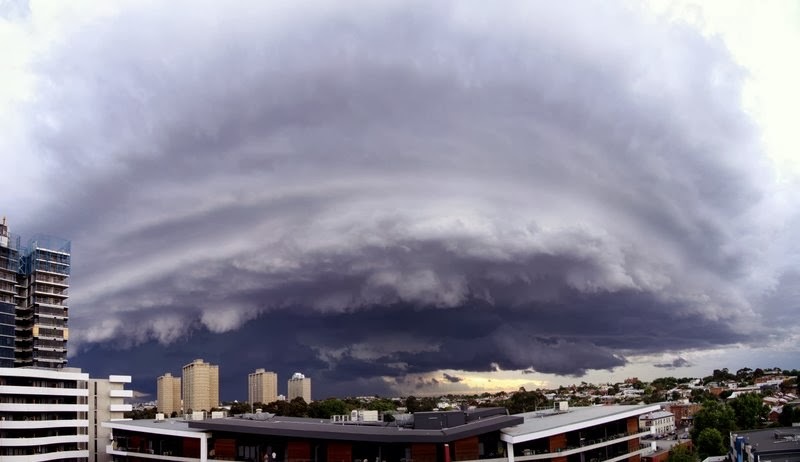 The photograph was taken around 7pm on November 9 2011 just before the storm hit the eastern suburbs. I wish I had a wide angle lens that could capture the shot, but it was actually taken with a 17mm lens in a series of 6-8 photographs that I stitched together using ICE. Wow! That photo looks amazing! Thanks Ash :-) Think the storm can take most of the credit though!